Quite some time has passed since the last blog entry has been posted here. And the blogger has, meanwhile, taveled back from from the US capital to its German counterpart. Not a particularly bad place for bikers either. Actually pretty popular with bicylce fans of all ages. 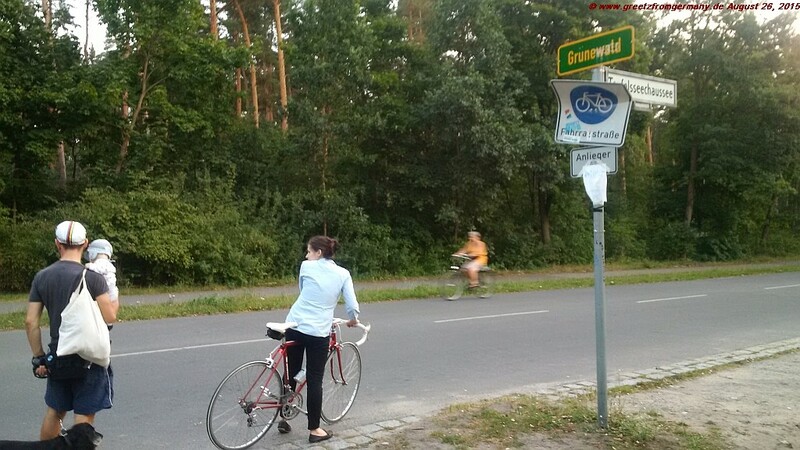 The designated bike streets in Berlin’s Grunewald area are pretty popular, as exemplified by these three generations of bikers here. 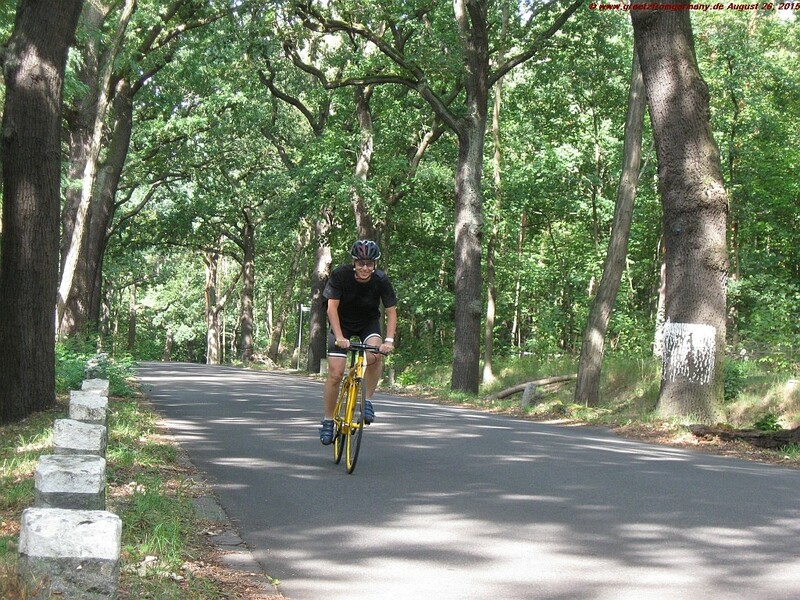 Why exactly do Berlin friends whine about their lack of good biking terrain? Is that just the usual way of the Berliner who does not like his/her city at all … but is glad to live in it, since any other city in the world is even more unbearable? 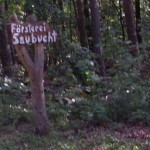 Anyways, Grunewald sure was good for some nice surprises. No, the nice surprise did not lie within the rather unexpected rolling hills that had to be crossed – unfortunately by single speed, as the blogger was of the apparently stereotypical, but still wrong impression that Berlin were located on terrain flat as a pancake. 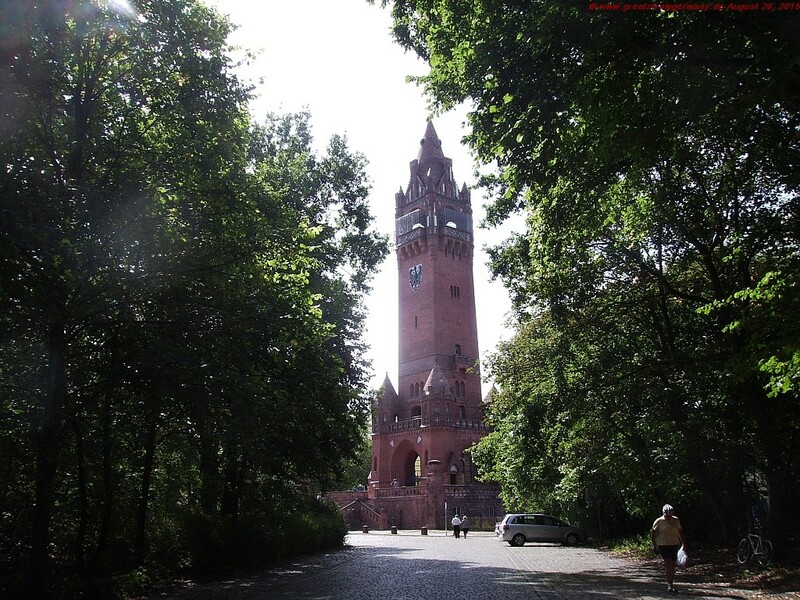 It were precious findings like „Grunewaldturm“ that made for the nice surprises during a ride from Berlin to Potsdam’s Sanssouci. Those findings were not necessarily planned for (although they could have been, would the blogger have looked into her travel guide prior to mounting the bike, of course). Grunewald Tower was erected at the end of the 19th century (and the rather sad fact is ignored here that, even way back then, trees had to fall wherever people had decided they „needed“ to erect some sort of building). As the inscription says, it was meant to be in honor of emperor Wilhelm I.
Schlagwörter: Backsteingotik, Berlin, Grunewald; Grunewaldturm, Sanssouci, single speed, Wilhelm II., Wilhem I.